It's easy to get caught up thinking about making a reception playlist for your big day. Naturally, you want that perfect balance of Top 40 dance jams, some classics, a couple throwbacks to honor your younger years, and some romantic ballads for a slow dance or two. But reception song selection is the fun part! It's the ceremony music that's probably going to take some additional research and planning. Don't sweat it, though, we've got your back! When you're thinking about ceremony music, you must first consider the type of ceremony and the venue where you'll be reciting your "I do's." 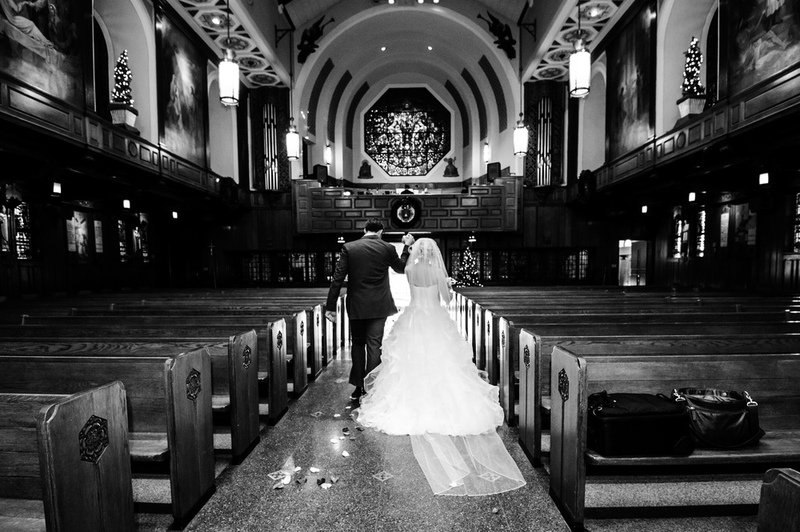 A traditional ceremony in a house of worship may limit you to classic or religious songs, while a casual ceremony at a catering hall or outside will give you more flexibility. Remember that your ceremony has the potential to set the tone for the entire day and should be a representation of your personalities and your love. With that said, here are the moments in your ceremony where you'll want to think about music and song selection! 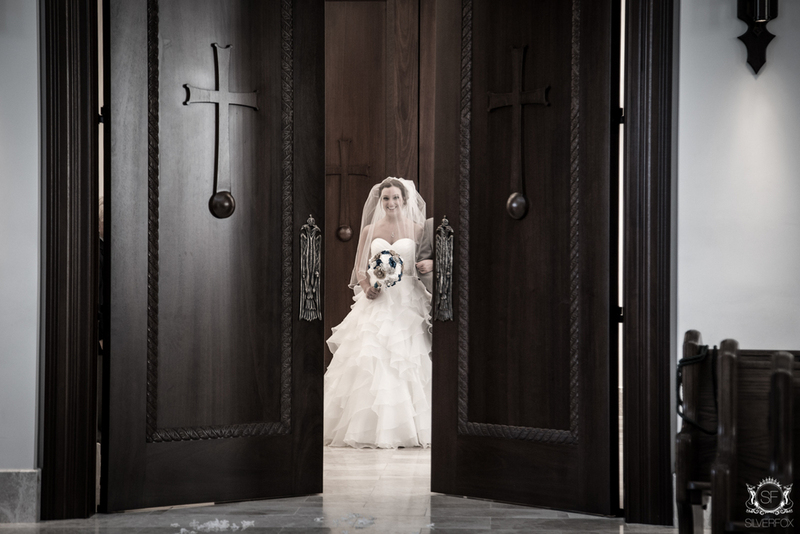 The music that plays as your guests walk into your church or ceremony area, mingle, and take a seat This music will definitely play a big role in setting the tone. Regardless of the location, keep it light, romantic, and uplifting! The prelude typically lasts about 20-30 minutes, so choose several songs. First comes the groom followed by the wedding party. This music can be whatever your heart desires as long as it moves at a reasonable pace suitable for walking naturally. Before the bride gets her cue to enter the ceremony, the bridal party processional song comes to an end and all of the attendees stand as a new song begins. This song should be a bit more dramatic. Nothing says drama like the opening of "The Bridal Chorus" better known as "Here Comes the Bride." A more modern bride might go for something like "At Last" by Etta James. Interlude songs are important to consider if you're going to perform any type of ritual, like a candle lighting ceremony, sand ceremony, or knot tying ceremony. Maybe a musical interlude will be in the form of worship, or maybe you'll want to have a loved one serenade you with a meaningful tune. Transitions during the ceremony are also a nice time to play a musical interlude. You said your "I do's" and sealed them with a kiss! Woo! Now it's time to celebrate! Pick a song to play while you exit your ceremony. Make it a happy one, because happy is probably an understatement as to how you'll be feeling in that moment. We suggest something like "All You Need is Love" by The Beatles, "Walking on Sunshine" by Katrina and The Waves, or "I Choose You" by Sara Bareilles. Take the songs that didn't make the cut for your recessional and put them in the lineup to play afterward while your guests linger at the end of the ceremony. Happy listening! If you're stumped you can always ask the pros at Silverfox DJs for any recommendations!